100 spacious and air-conditioned rooms. All rooms have soundproof windows and impact insulation, plus a 24-hour supply of fresh air. Free WIFI throughout the hotel. 219 yards (200 m) to the nearest restaurant and 1.6 miles (2.5 km) to the city center. 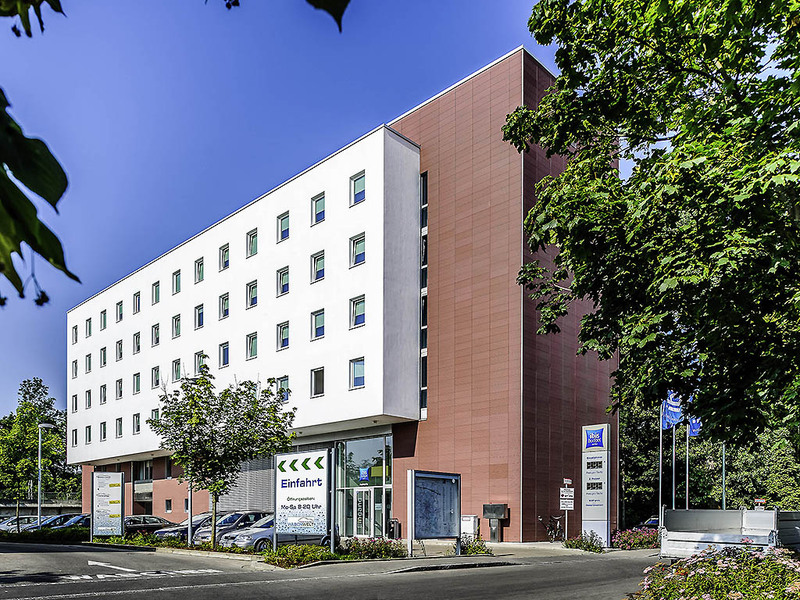 The ibis budget also welcomes you to the city of Augsburg! The hotel can be reached quickly from the A8 highway and is just 984 yards (900 m) from the main train station. It has 99 modern, comfortably-equipped rooms, each accommodating up to 2 adults and 1 child up to the age of 11. Guests can enjoy free WIFI access and free parking at the hotel. We offer a delicious buffet breakfast every morning. A great sleep at a dream price: Each of the 98 rooms can accommodate up to 2 adults in an extra-comfortable Sweet Bed by ibis budget double bed or twin beds. 47 rooms have an additional comfortable bunk bed for children up to the age of 11.